In the UK alone, a staggering 1 in 4 people suffer from work related neck pain, shoulder blade pain or arm pain. This month Rebecca Nelson, Apex Clinic Founder and Spinal & Headache Physiotherapy Specialist, shares some valuable ways to help prevent technology causing you long-term pain. When working in a busy office environment, it is easy to forget about how we are sitting, but adopting the correct posture is vital to protect our neck, back and shoulders. Many of us spend eight hours a day at our desks, slumped over in a C-shape, which overloads our spine. Sitting too low at a desk causes overloading of the shoulder muscles, leaving the arms reaching too high for the keyboard. On the other hand, sitting too high hunches the shoulders forward, causing pain in the process. Top tip: The middle of your monitor should be at eye level or just below. Sit with your back reclined backwards, at an angle of approximately 30 to 35 degrees from the vertical, which will reduce the load on your spine. Keep your elbows close to your body to ensure that your arms are not outstretched and your thighs, forearms and hands should be positioned roughly parallel with the floor. Keep your chair pulled in underneath your desk so that your forearms can rest comfortably on the desk’s edge. Furthermore, don’t forget the importance of taking frequent breaks. Get up and move around away from your desk for approximately 5 minutes every 30 minutes or so. Stand up and move on the spot, where possible, to take phone calls. 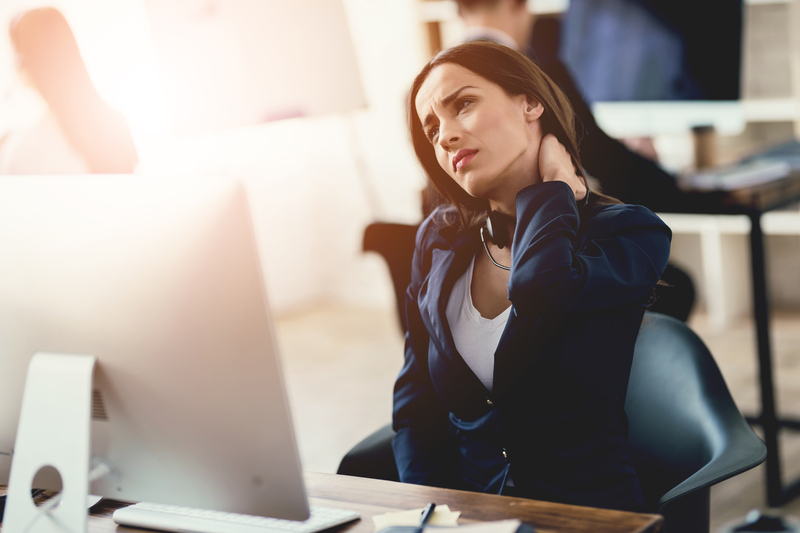 While laptops offer the freedom and ability to work on the move, their design and rise in usage has had disastrous consequences on our posture, and the result is potential future spinal pain. Top tip: If your job requires you to work from a laptop rather than a PC, we recommend using a detachable keyboard. Refrain from working on the sofa with your laptop perched on your knee. Instead, choose a stable work surface such as a table or desk and follow our posture tips above to keep your neck, back and shoulders in the optimum position. Is your phone putting your posture under pressure? Many of us are guilty of multitasking, sitting with the phone cradled awkwardly between our neck and shoulder, whilst typing or writing. This is disastrous for your neck, as it is stretches the joints on one side of the neck and compresses the joints on the other. This will almost certainly lead to pain and long term suffering. Top tip: A headset is perfect for those who are engaged in frequent, long phone calls. This will give your arms the freedom to type or write, while saving your neck. Your employer should happily provide these. The ability to text, email and connect to the internet on-the-go comes at the expense of developing future spinal pain, due to the hunched posture adopted while using a mobile phone. Research suggests that smartphone users spend an average of four hours a day staring at their device, resulting in up to 1,400 hours a year of excess stress on the spine. While we are all susceptible to this epidemic, this is potentially damaging for children and teenagers, as well as adults, with potential serious conditions resulting such as trapped nerves and herniated discs. Top tip: To avoid the ‘text neck’ epidemic, we recommend adopting a better posture when texting, by resting both elbows below your ribs and holding the device just below eye level, with your forearms in a vertical position. It is wrong to assume that this pain is due to the normal ageing process. In the majority of cases, this CAN be cleared at any age, with the correct treatment regime allowing you to feel pain-free again. 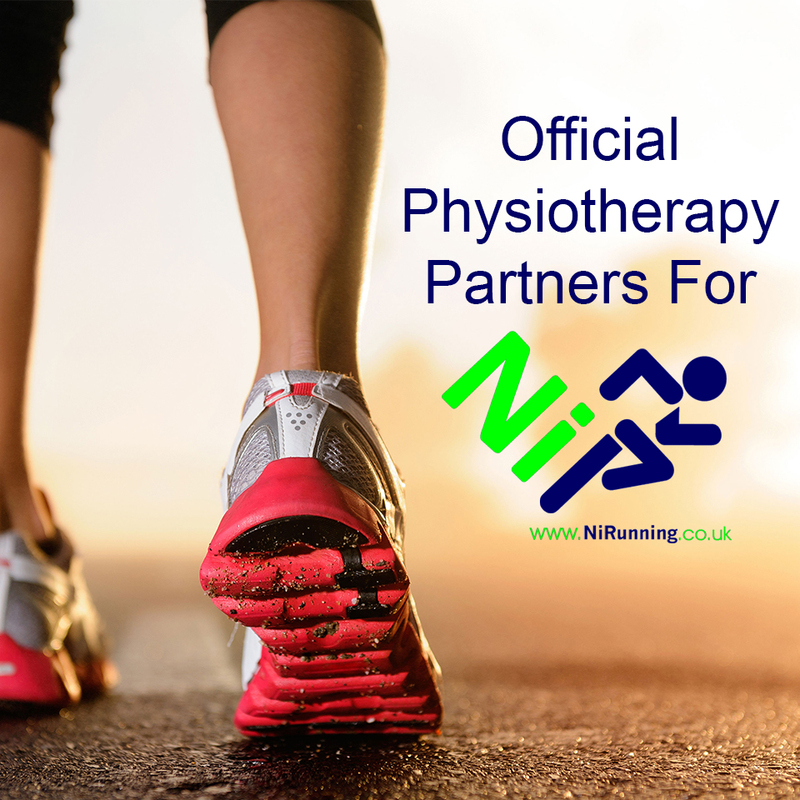 To book an appointment with our specialist physiotherapists call: 028 9048 4153. No GP referral is necessary.